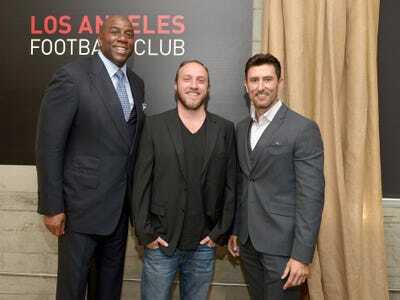 Charley Gallay / Getty ImagesChad Hurley (center) with Magic Johnson (left) and Nomar Garciaparra (right). For many wealthy executives, owning a sports team can be a telling mark of success. According to the Washington Post, YouTube cofounder Chad Hurley has just picked up a piece of a team. 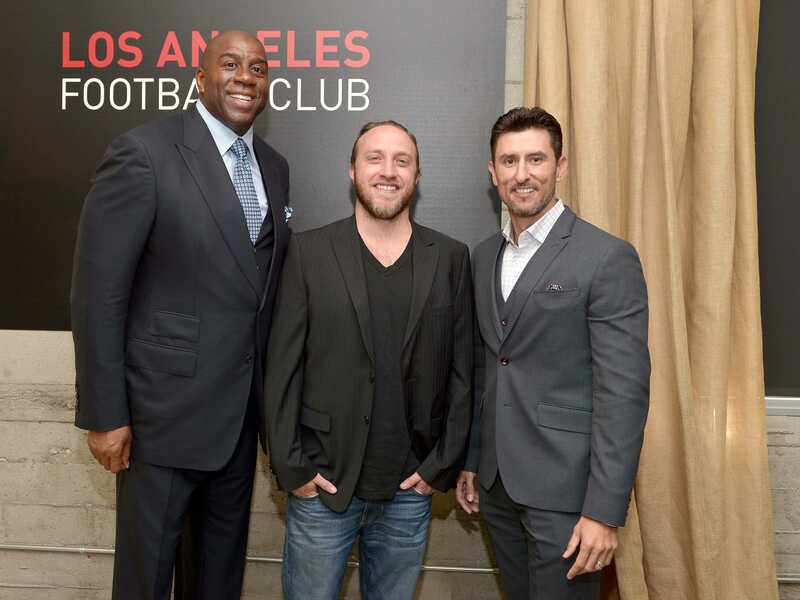 He joins a group of wealthy athletes and executives — Magic Johnson, Mia Hamm, Nomar Garciaparra, venture capitalist Harry Tsao, motivational author Tony Robbins, and Golden State Warriors president Rick Welts, among others — as the owners of a new soccer team in Los Angeles. The new soccer team, called the Los Angeles Football Club, will debut in 2017, and the players, coaching staff and “branding identity” have yet to be determined. The ownership team is led by Henry Nguyen, Peter Guber, and Tom Penn. “This visionary ownership group will chart a course that will further elevate the sport in this great city and, combined with a new state-of-the-art stadium, accelerate us down the path toward becoming one of the top soccer leagues in the world,” Major League Soccer Commissioner Don Garber said in a press release announcing the new team.